Hi all, hopefully I’ll be looking at a new project in the coming years. I’ve oogled at Rx7’s for many years, and would love to get into one in the future. For now, I’m enjoying my Miata as a daily driver. I’m just here to get some information and learn about these awesome cars. Last edited by FujiShooter; 11-10-18 at 01:00 PM. Hey man. If you're looking and have interest, now is a good time to buy 1)because if you want an fb or fc they are getting harder and harder to find and 2)if you want an fd, I feel like the prices will be considerably higher (logarithmic scale) as the years go on like the supra has been doing. Either way you'll learn here, one of the few remaining car forums left that are active and not full of rocket bunny body kits and vinyl wraps for every car (not like there's anything wrong with that to people who are into it). I am in a very similar situation! 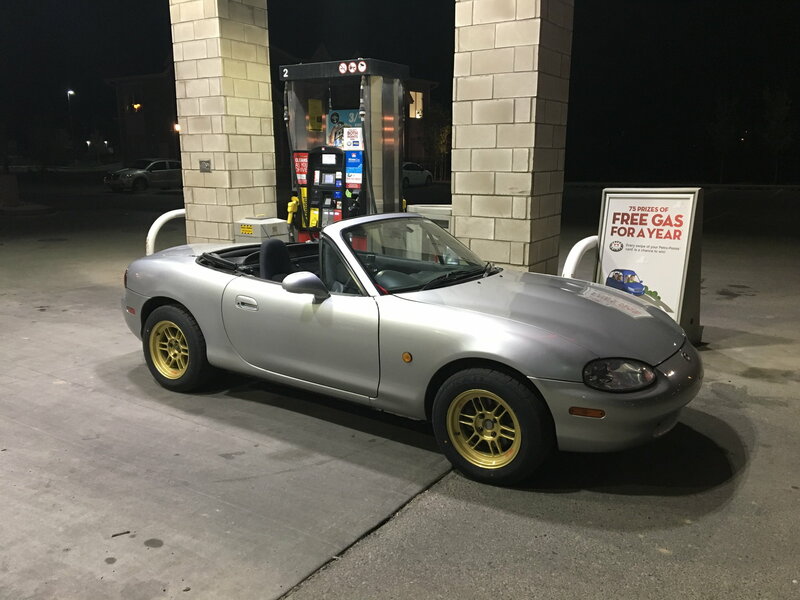 I have two Miatas, one is a turbo daily and the other a track/autocross car. Are you hoping to jump straight into an FD? I went from a Miata into an FD. It wasn't my 1st RX-7 but it had been a few years of Miata.between 7's. The FD gets a lot more looks and maybe respect, but I swear I miss the Miata sometimes. I'd drive it down to LA (300 + miles), beat the crap out of it at the track all weekend, drive it home on Sunday night, hang it up wet, and use it for work the next week with no problems. That ain't happening in an FD. An FD will literally nickel and dime you to death, and by nickle and dime I mean hundred dollar bills. They need babying and are more of a weekend only kind of car unless you're either rich or a rotary mechanic. . So, in my opinion/experience: If little kids pointing at you and future selling value is what you're after, an FD is about the best car on the road for $20k-ish. If you want to go to the track and actually have fun in the thing, you might wanna hit up Flyin' Miata and turbocharge your NB. It'll be nearly as quick. Mine was an NB2 with FM stage 2 suspension and a Z-Engineering supercharger. Natey, sounds like solid advice, I have an Trackspeed EFR kit on my Miata and it one of the fastest cars on Street Tires in our Time Attack series. Do you recommend just an FB with a 12A as a decent weekend car and once or twice a week to work? I got a deal on a low-mile 91 FC and that's what really started the rotary obsession for me. It actually treated me pretty well! A GTUS FC would be a pretty good trade off of fun and...dare I say reliability? Definitely more-so than an FD and those Series 5 FCs are gaining value fast. . I'd look around for a rotary mechanic near you. If there's a good one, I'll bet you'd love a 1st or 2nd gen. I did mine. If no mechanic near you...good luck! Welcome! The Miata looks great!! If I were in your shoes, I would go out and drive some RX-7's that I were interested in and see how you like them compared to your Miata. They are all a blast to drive in their own right! I'm in a similar position and looking at a Miata or FD as a weekend/project car. I'm torn because I hear they're both different in terms of driving, but both fun. Miata makes more financial sense to me because its so much cheaper, but FD has always been a dream car to me. I'll be searching for what everyone has to say in this forum.